12 works by artists represented by the legendary Leo Castelli Gallery acquired by Cy Twombly in the 1960's are to be sold by Christie's in their November 2014 Evening and Day sales of Post-War and Contemporary Art in New York. The collection of works on offer at Christie's from the Cy Twombly Foundation represent two generations of artists who all became established during the 1960s; Roy Lichtenstein, Andy Warhol, Bruce Nauman and Claes Oldenburg. 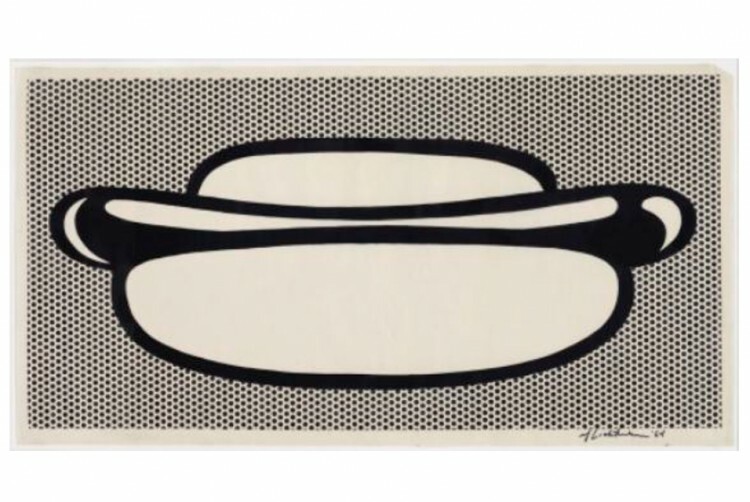 Highlighting this group are three important drawings by Roy Lichtenstein; Hot Dog, 1964 drawn by hand and one of his largest works on paper, 10₵, 1961 – 1962, and Like New, 1962. Classic examples of Pop Art using imagery of everyday objects and advertising to celebrate common American objects. In 2010 they were shown together at the Morgan Library in Roy Lichtenstein: The Black and White Drawings, 1961-1968. Also included is Andy Warhol's Little Electric Chair, 1964 that Twombly traded directly with the artist, a cerulean blue in stark contrast with the dark silkscreen inks and, two rare early works by Bruce Nauman, including one of only three Light Trap photographs, William T. Wiley or Ray Johnson Trap, 1967. The Light Trap photographs resulted from an ingenious method of drawing with light in a dark room, while a movie camera recorded the movement. The work was included in the artist's first debut solo exhibition in New York at Leo Castelli Gallery, curated by David Whitney. The works will preview in London, San Francisco before being offered in New York in November. Laura Paulson, Chairman and International Director for Post-War and Contemporary Art, declared: This extraordinary group of works by Lichtenstein, Nauman, Warhol and Oldenburg represents one of the most creative and rich periods in Post-War American art which emerged in the 1960s. See more Pop Art on Barnebys here.